Brandon’s background in graphic design, marketing, and executive management have resulted in continually increasing success. Colleagues have commended Brandon for creating an environment that not only allows but encourages people to succeed both professionally and personally. Brandon is an achiever and a positive thinker who is happiest when creating a new world to conquer. Author of The Wolves and the Mandolin: Celebrating Life’s Privileges In A Harsh World (ForbesBooks; 2017), Brandon begins with the Vallorani family’s modest beginnings in Italy, regales readers with legend-worthy stories of great-grandfather Luigi’s first years in America, and culminates with his journey into entrepreneurship. After graduating from West Virginia University with a Bachelor’s Degree of Fine Arts in Graphic Design, Vallorani began his career in the non-profit sector in 1998. Within a window of 6 years, Brandon developed and led a number of strategic plans, improving online traffic by 151%, expanding radio network reach by 100%, and boosted annual company revenue by 700%. Quickly rising through the ranks to Executive Vice President, he simultaneously earned his Master of Business Administration from Thomas More College in 2004. He went on to another non-profit, boosting annual revenues from a few hundred thousand dollars to several million in a period of a mere three years, while co-founding Tolle Lege Press with his father, Ray. As their first project, TLP raised over $100,000 for the reproduction of a historic masterpiece: The 1599 Geneva Bible. The Geneva Bible bears much historical significance to the Reformation period, and came to America with the Mayflower, but had been lost in obscurity and available only without modern spelling and punctuation. The first updated reproduction was published and made available to the public in 2006 by Tolle Lege Press. Brandon utilized his expertise in marketing to advertise this historic treasure in both traditional and modern media avenues, and since its publication, TLP has distributed over 140,000 copies in 13 different formats. Along with this stunning project, TLP published over 20 additional titles. In 2007, Brandon branched out into yet another entrepreneurial endeavor, with the founding of a webstore that would eventually increase to a group of news commentary sites and explode into a network of websites and webstores known as Liberty Alliance. Recognized on the Inc. 5000 list of America’s fastest growing privately held companies for five consecutive years (2012-2016), Vallorani sold to Liftable Media in 2017, and has shifted his focus to marketing conservative products through Keep & Bear.com, and consulting to help others build their empire through Romulus Marketing, and to building his lifestyle brand, Vallorani Estates, which includes conservative brand Thrasher Coffee and Vallorani Cigars. 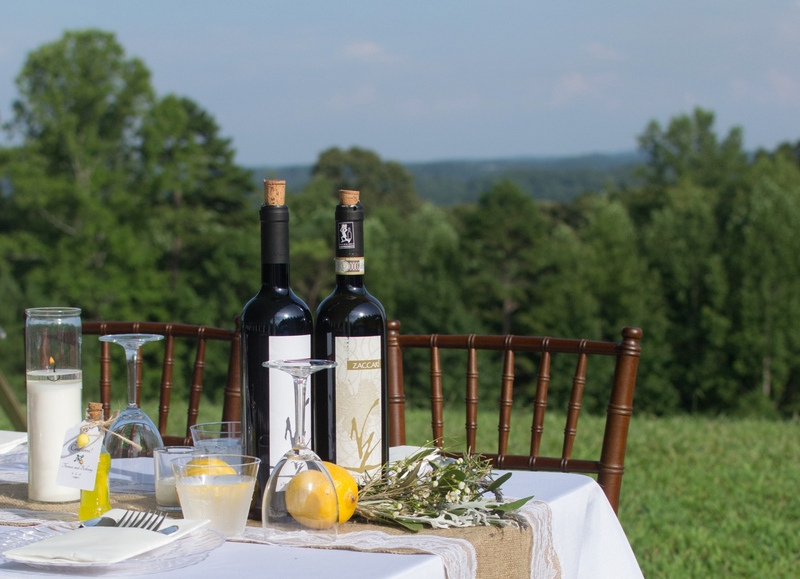 A curator of life’s privileges, Vallorani enjoys handpicking items for Vallorani Estates to provide to those who know the value of enjoying a sunset with a glass of great wine or taking a business meeting out of the board room and into a backyard – themes he explores in The Wolves and the Mandolin. “The wolves and the mandolin story has been passed down from generation to generation in my family. A great-uncle was on his way home from a party when he became surrounded by wolves. He climbed a tree, and rather than complain about his misfortune, he simply played his mandolin to pass the time. The beautiful music calmed the wolves and eventually allowed him to make it home safely,” Vallorani says. Brandon Vallorani is a legendary figure in the entrepreneurial world and an astute businessman who proves the American dream can be achieved with hard work and vision. A Forbes.com contributor, he has been interviewed by numerous podcasts, magazines, and online sites. Vallorani resides in Metro-Atlanta, GA, with his wife with whom he shares seven children, a son-in-law, and a grandson. In his free time, he enjoys traveling and playing in casinos around the country, his three dogs, and learning Italian. 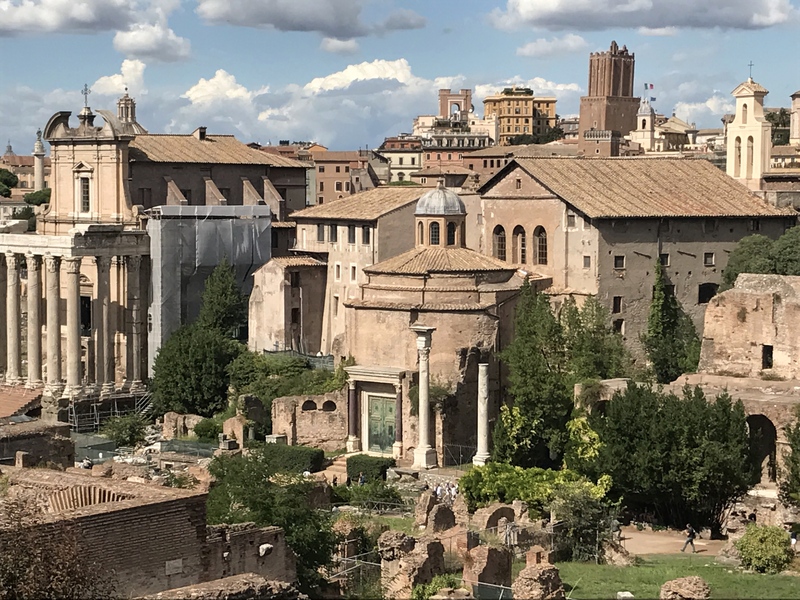 History and myth intertwine to regale us with the legendary account of Romulus—an orphan raised by a she-wolf who grew into a powerful leader and founded the city of Rome on the Palatine Hill in 758 BC. The Empire’s vast extent and long endurance resulted in the institutions and culture of Rome leaving a profound and lasting influence on the development of language, religion, architecture, philosophy, law, and forms of government in the territories it governed. Europe was particularly influenced, and by means of European expansionism, Romulus’ Empire built modern times as we know them. Brandon Vallorani and Liz Martin partnered in 2014 to develop Romulus Marketing as a privately-owned firm to assist clients in building their empires. Having successfully launched a number of companies, products, and brands, Romulus Marketing continues to develop clients through marketing and management services. At this stage in my life and adventures, I want to share the privileges of life with others, to remind them that life is for enjoying, and every moment we have is a gift. Watch the sun rise, and celebrate the new day with a great cup of coffee. Enjoy a relaxing interlude with a great cigar, or better yet, with a good friend and two cigars and a great bottle of wine. Take the time to listen to the music of the mandolin because even the most beautiful song can’t last forever. Savor the privileges of life and share them with those around you. As “Purveyors of Mandolin Moments,” we invite you to fill your life with details that will distinguish your life from the rest.